Researchers and Affiliations: D.K. Adams, Centro de Ciencias de la Atmósfera, Universidad Nacional Autónoma de México, Distrito Federal, México; Seth I. Gutman, Earth System Research Laboratory, National Oceanic and Atmospheric Administration, Boulder, Colorado, USA; Kirk L. Holub, Progama em Clima e Ambiente, Universidade do Estado do Amazonas, Manaus, Amazonas, Brazil; and Dulcineide S. Pereira, Instituto Federal de Educação, Ciência e Tecnologia, Manaus, Amazonas, Brazil. Deep convection in the atmosphere, leading to cloud development and precipitation has been directly observed in the tropics of Brazil using a GPS meteorological site. 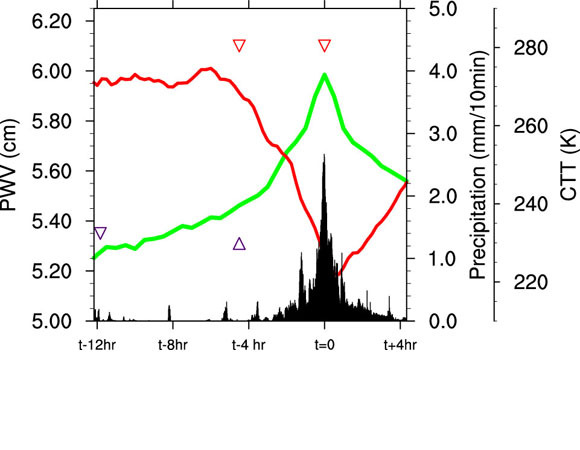 More than 3 years of observations at the station, INPA, in the central Amazon revealed a 4-hour shallow-to-deep convection transition timescale. This transition period is when water vapor condensed to form small cumulus clouds that grow into tall cumulonimbus clouds and ultimately produce precipitation. The 4-hour timescale is robust regardless of seasonality or nocturnal versus diurnal convection. 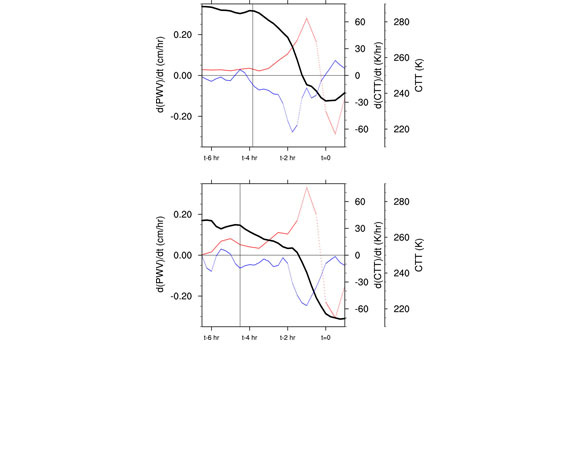 This study represents the first ever long-term, direct observation of deep convection in the tropics using GPS and will help with numerical modeling of climate and weather in the tropics as well as improving our understanding of convective processes in the atmosphere. Hot, moist air rises from the lower atmosphere to the upper atmosphere typically producing precipitation in the tropics. 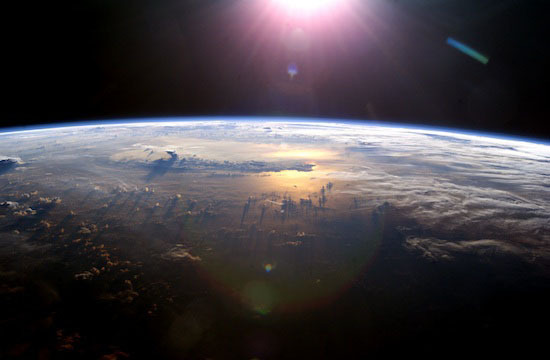 This process is known as deep convection and transfers energy and momentum from the Earth's surface to the atmosphere. These deep convecting clouds are responsible for the Hadley Circulation, which transports energy from the equatorial tropics to higher latitudes. Traditionally, it has been difficult to observe deep convection in the tropics due to the paucity of observations. 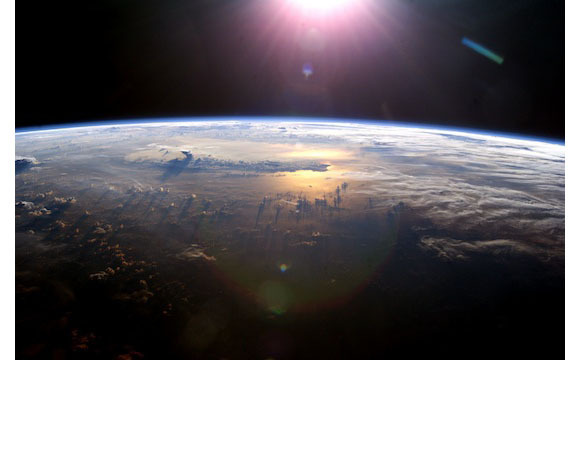 Satellite observations have helped in the past few decades, but they are limited due to their spatial and temporal resolution; that is, the satellites cannot observe small-scale convection and its continuous evolution over time. Thankfully, a new GPS station supplemented with a surface meteorological instrument was installed near the equator in 2008 in Manaus, Brazil. The station, denoted INPA, was part of the U.S. National Oceanic and Atmospheric Administration’s ground-based GPS meteorological network in cooperation with the National Institute for Amazon Research. The GPS station measures the total amount of water vapor, called precipitable water vapor (PWV), above the antenna with high frequency (~5 minutes). 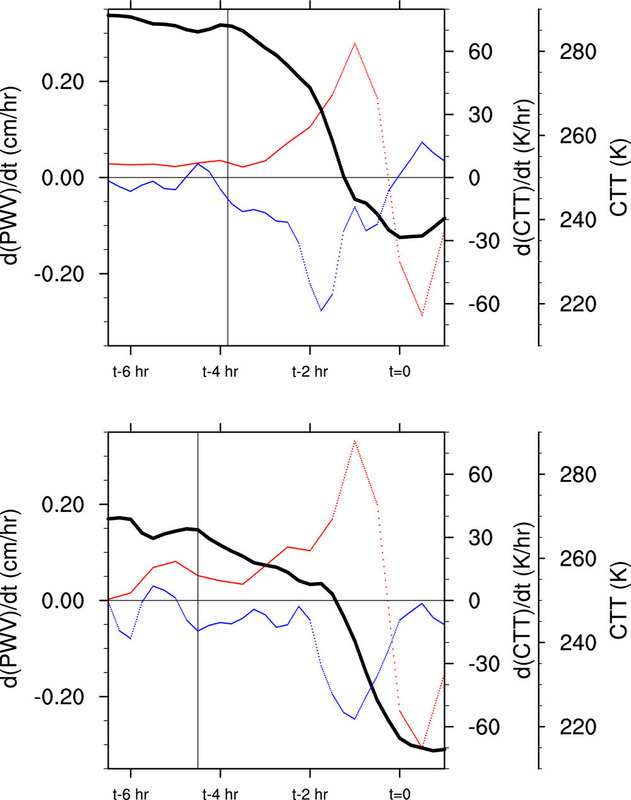 The changes in PWV over time helps to trace the dynamics of deep convection. 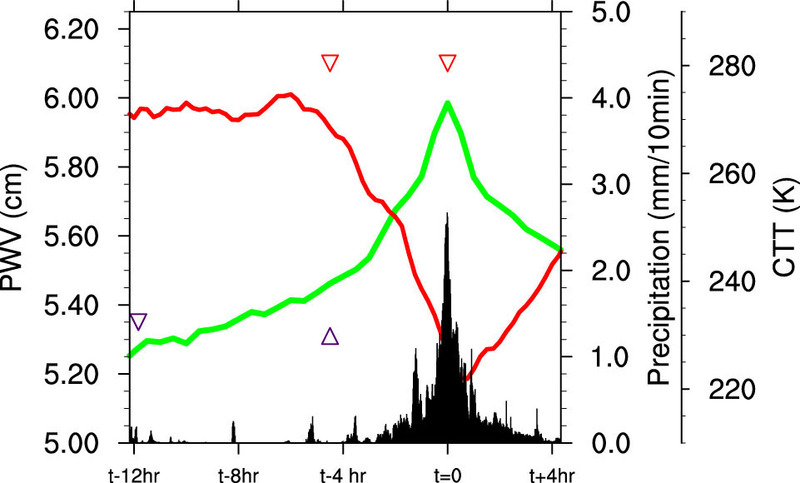 Over 3.5 years, the authors analyzed 320 deep convective events to understand how the events develop over time. The temporal evolution of deep tropical convection is not well modeled and many tropical meteorologists have speculated as to why. Analysis of the 320 convective events showed that over a 4-hour period, small cumulus clouds would form, grow into larger cumulonimbus clouds and finally release the water vapor they had condensed in heavy rainfall. The 4-hour period is consistent and robust; the period does not depend on the time of day (i.e. diurnal versus nocturnal) or time of year (i.e., seasonality). The observations provide unique information about atmospheric convection that can be used to check and refine models, help with weather forecasts, help with climate change studies, and with understanding atmospheric dynamics. Newer GPS networks such as the Continuously Operating Caribbean GPS Observational Network (COCONet) and the Amazonian Dense GNSS Meteorological Network will provide even more continuous direct observations to understand deep atmospheric convection in the tropics. Adams, D. K., S. I. Gutman, K. L. Holub, and D. S. Pereira (2013), GNSS Observations of Deep Convective Time scales in the Amazon, Geophys. Res. Lett., 40, doi:10.1002/grl.50573.